Dr Seuss is a household favorite children’s author here in our home. 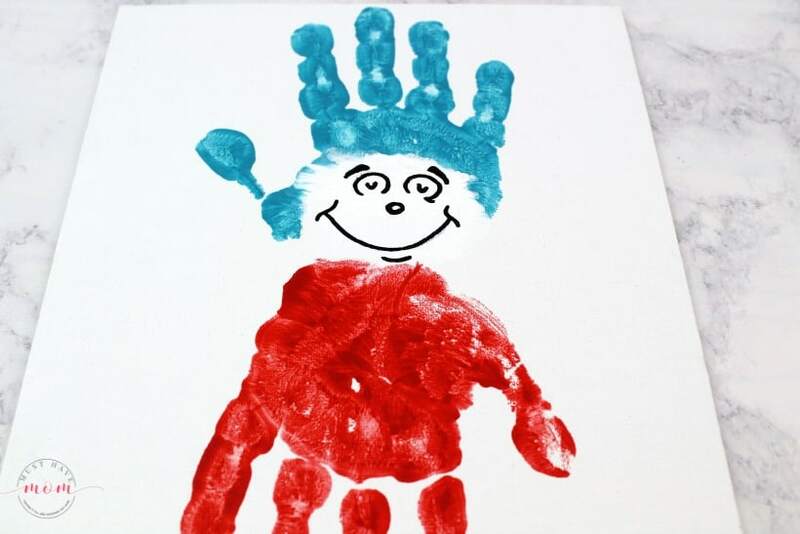 This fun Dr Seuss crafts idea takes two of our favorite characters, Thing 1 and Thing 2 and turns them into adorable handprint art that doubles as a keepsake. 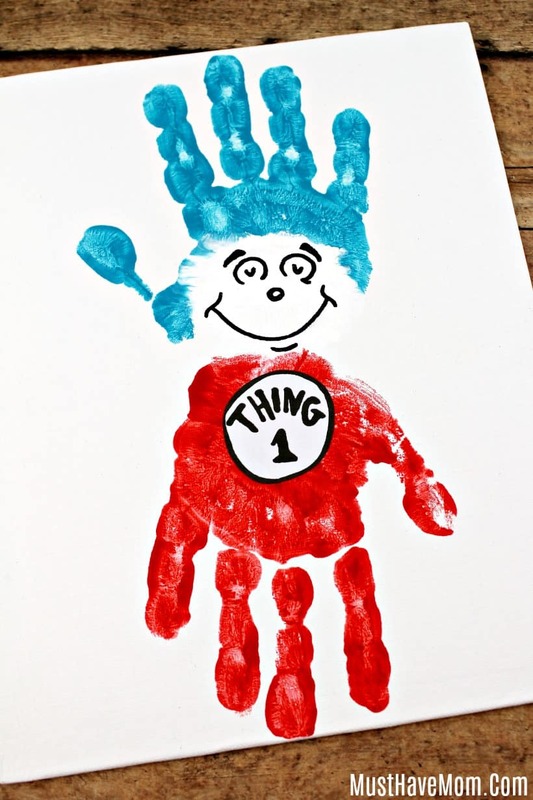 I’ll show you how to make this fun Dr Seuss craft with your kids! We absolutely love Dr Seuss! 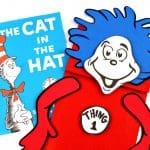 We’ve hosted Dr Seuss parties, made Thing 1 and Thing 2 puppets and even came up with some fun Dr Seuss costumes! 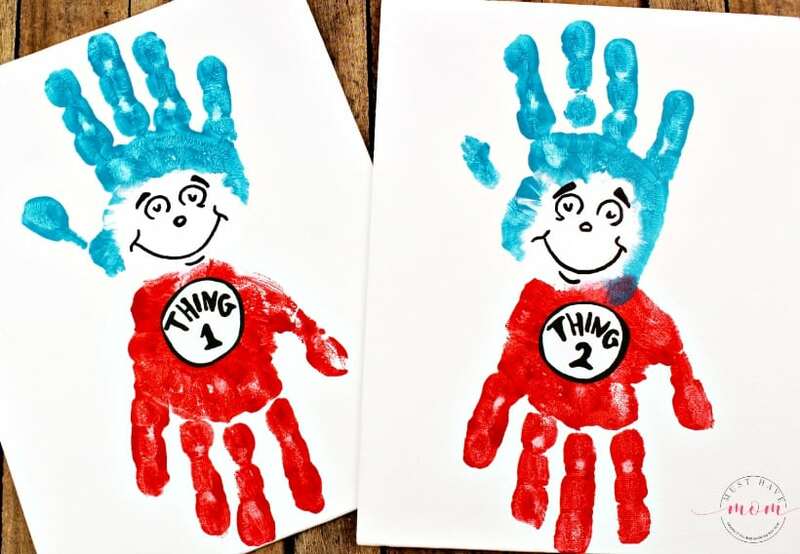 This Thing 1 and Thing 2 handprint art is a fun activity to do with your kids and also doubles as a keepsake to hang on the wall! You’ll also need to download and print The Thing 1 and Thing 2 logos. 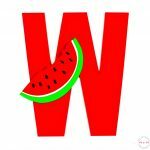 Cut out the logos and set them aside. 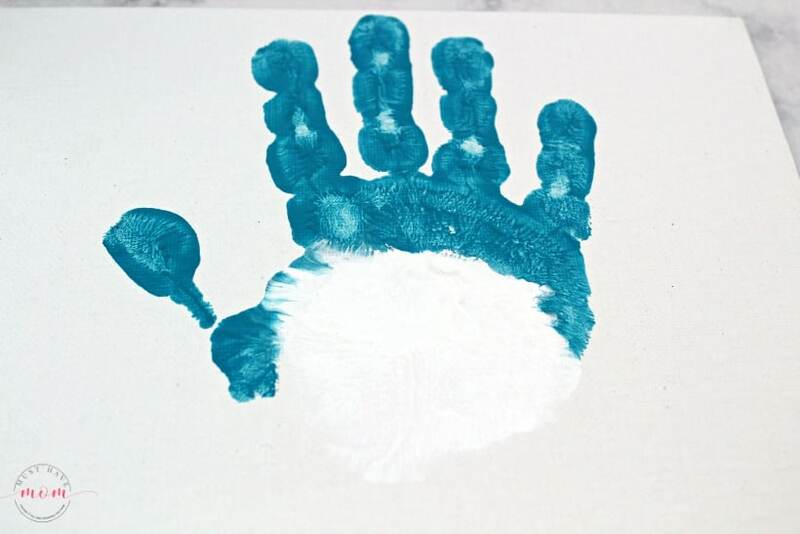 Paint the palm of your child’s hand with white paint and paint their fingers with teal paint. Refer to the photo. 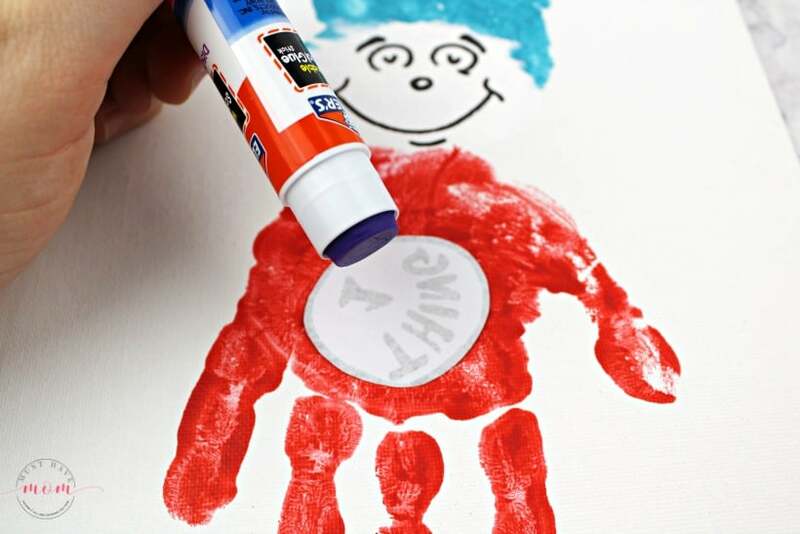 Help your child press their hand down onto the canvas. 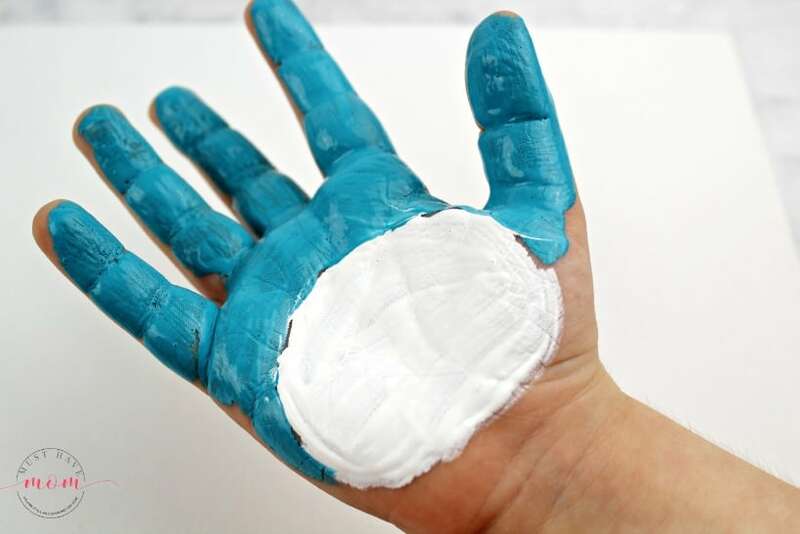 Carefully pull up their hand to avoid smearing the paint. Wash your child’s hand and dry it off completely. 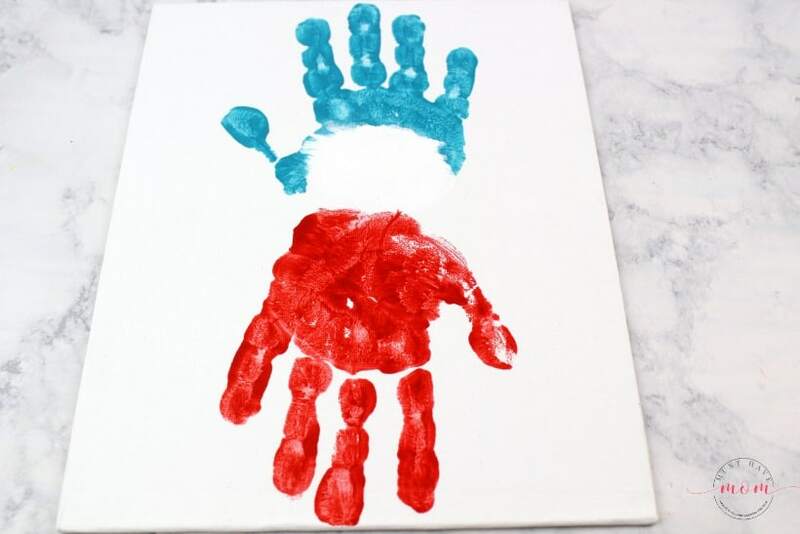 Help your child press their hand down onto the canvas just below the white and teal handprint. Make sure to point their handprint the opposite way. Refer to the photo. 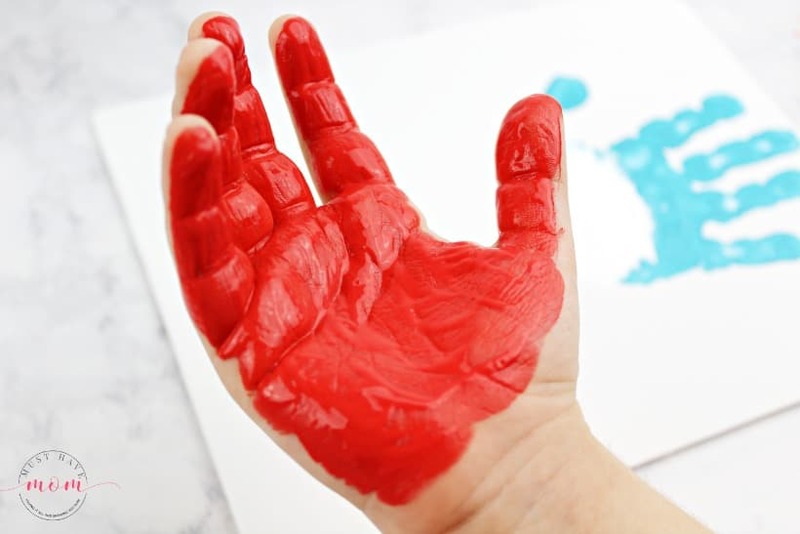 Allow the paint to dry completely and don’t forget to wash your child’s hand! 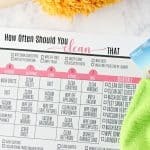 Yikes, what a mess that would be! Draw a face on the canvas with a pencil. Once you are satisfied with how the face looks you can then trace the pencil with a permanent marker. Use a glue stick to glue the Thing 1 and Thing 2 logos on. Your canvas is done and can now be proudly displayed! 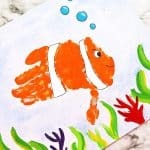 You’ll have a keepsake to look back and remember your child’s small hands that created the painting. Of course, Thing 1 and Thing 2 are from the classic childhood book, Cat in the Hat by Dr. Seuss. 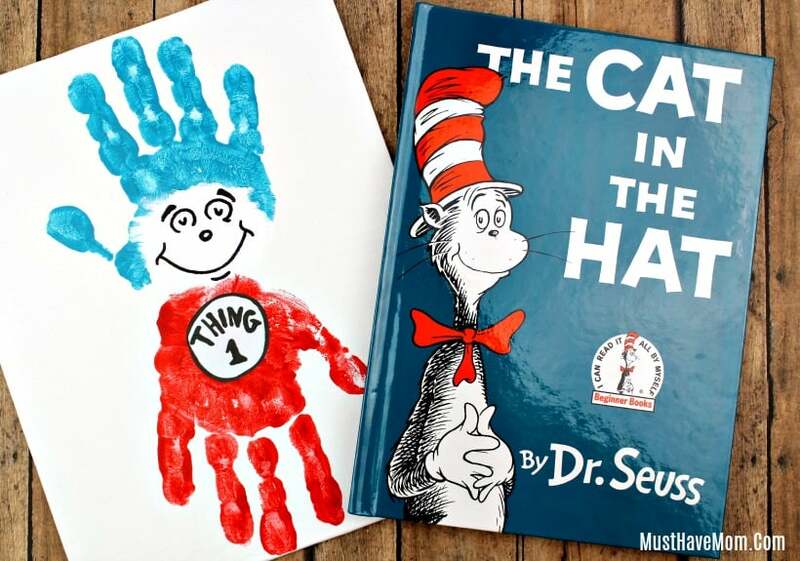 Be sure to get a copy of the book and read that to your child along with doing the fun Dr Seuss crafts. 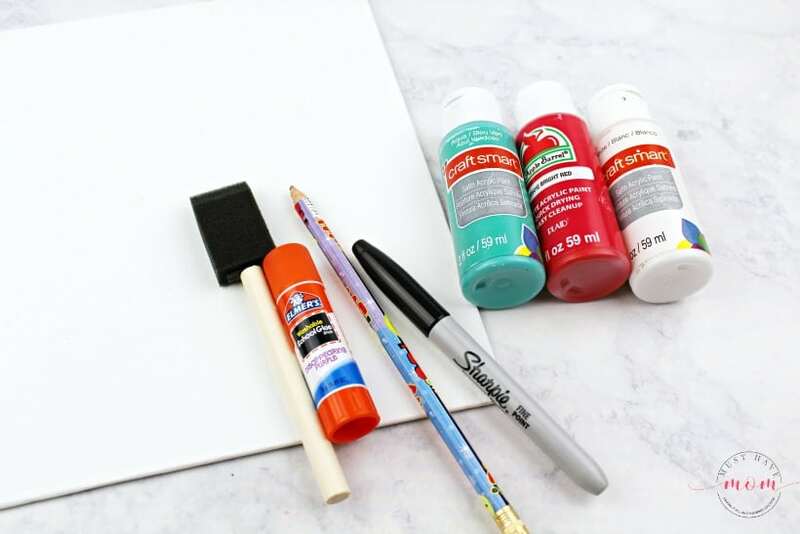 Repeat these instructions to create a second canvas with Thing 2 or allow enough room to fit both Thing 1 and Thing 2 on the same canvas!